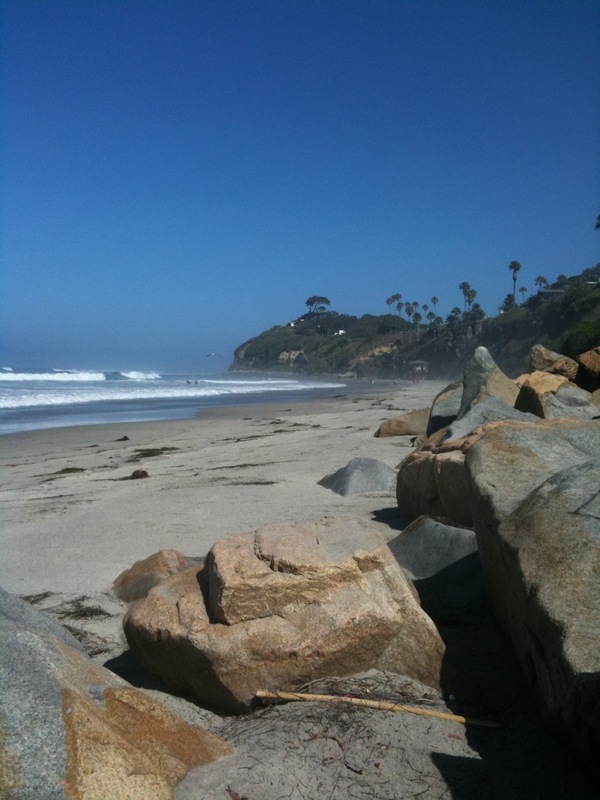 This photo is taken from Swami’s beach looking up toward the SRF shala. Today was the beginning of the turning point. Yesterday I went to the chiropractor who discovered I had two ribs out and she managed to get them back in. I was able to smile again and breath so much easier. I still have some residual soreness but I can’t tell you how relieved I am to be back in alignment. That was over two weeks of excruciating pain!!!! Thank the heavens for chiropractors who know what they are doing. It is amazing how impossible it is to feel positive when our health is out of alignment. Which I think is further testament to the reality that our health is of the most utmost importance. It is is such a delicate balance to maintain health but it needs to be at the top of our priority. Without health one cannot focus on achieving enlightenment. There may be exception to this. Sometimes people that face severe illness come into an enlightened state by acknowledging that death is a part of the process and it is only a gateway into the next adventure. When this is the case there is nothing to fear. Beyond such discussion, I went for a walk on the beach and met these two yogis playing harmonium and singing kirtan on the beach. Classic characters full of enthusiasm. One of them I hope to get to come to Florida to offer a workshop. We shall see. The waves were going off and although I am not ready to paddle is was great to watch everyone having so much fun. I got to the studio at 1pm and everyone could see I was smiling again and it felt so good to be feeling back toward normal. Tim is as awesome as ever. We did a Kapotasana warm up which I observed for the most part and got a chance to help with a few adjustments. Super fun and learning some really effective assists. Because today is Saturday it is also Hanuman day so we sang the Hanuman chalisa again which I am loving. Myself and one other student are learning to play the chalisa on the harmonium so Tim is teaching us. The chalisa is so powerful. It has the power to melt even the hardest of hearts. After the session tonight I had the chance to eat some food with a group of yogis who have been at this for 20-30 years. Amazing conversation and insight. It is really inspiring to be surrounded by Ashtangis who have so much enthusiasm this far along the path. It is like climbing a mountain and the road is still really long up ahead and someone else is on the way back down and you ask them how much further and they say well it actually doesn’t end but how about I turn around and walk with you so we can enjoy a part of the journey together. This is so refreshing and inspiring. Just to have a discipline that is so engaging that each day it is as fresh and new as day 1. The depth just gets deeper. The yoga is never ending. It is not like a book, you pick it up read it and put it on the shelf. Yoga is like writing a book that has no beginning or end. You just keep writing because the moment is forever presenting itself. I think all in all it was a day of releasing some garbage and ready to move forward. Jai!!! Have been enjoying all of your posts…it feels as if we are there with you on your great journey of discovery. Happy to hear that you have been able to get help with those ribs!